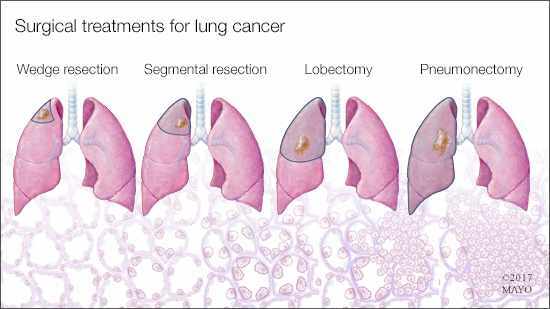 When it comes to treating lung cancer, the choices typically are surgery, chemotherapy, radiation therapy and targeted drug therapy. You and your health care provider will choose a cancer treatment plan based on a number of factors, such as your overall health, the type and stage of your cancer, and your preferences. Learn more about each of these treatment options and which might be best for you. Interest in using high doses of vitamin C as a cancer treatment began in the 1970s, when it was discovered that some properties of the vitamin may make it toxic to cancer cells. Initial studies in humans had promising results, but these studies were found to be flawed. Learn from Dr. Timothy Moynihan, a Mayo Clinic medical oncologist, about what researchers have discovered since then. After confirming that you have bladder cancer, your health care provider may order additional tests to determine the extent of your cancer — the stage and grade. These measurements will determine the best treatment options for you. Learn more about the stages and grades of bladder cancer, and how each is defined.